Tan suede espadrilles. Gold elastic detail on the top. Open toe and closed heel. 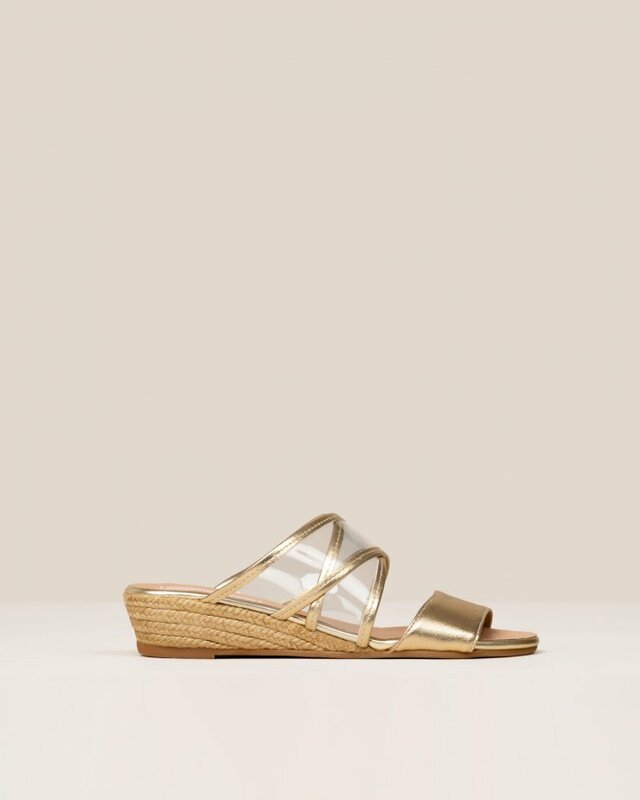 Flat jute wedge.